Well this was a lovely sight to behold this morning! The clouds appeared in somewhat of a “V” formation for a few minutes. At least that is what my eyes saw. However, as Chris Murphy from Canada’s, “The Weather Network” pointed out a few weeks ago when I interviewed him, the weather can change very quickly. I thought about that this morning, as this formation of clouds literally changed in front of my eyes, only to be replaced by a gray, brooding sky. Do you notice a bit of darkness on a couple of the “V” clouds to the top and right of the photo? They remind me of light bulbs; you know, the energy-efficient type with the corkscrew type pattern. I’ve always been fascinated by clouds, the patterns they make, and the shapes that seem to literally appear out of nowhere. Is there anything in this photo that catches your eye up in the sky? **Update: Please see Chris’s response in the comments section. It looks as if Chicago and Toronto are in for a rainy, windy weekend (changing weather indeed, Chris)! 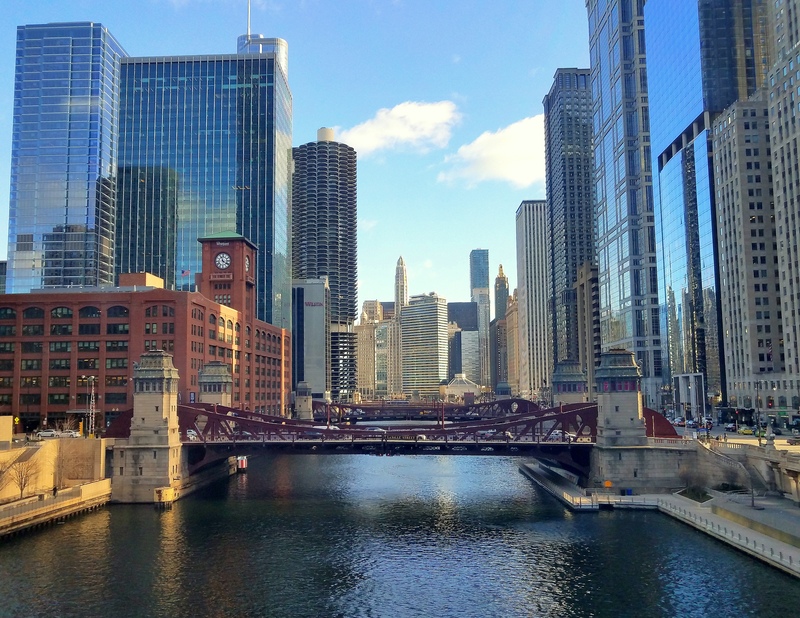 Great picture, Cher…and you are correct to enjoy the beauty because not only can the weather change quickly, but for Chicago, it WILL change. A rainy weekend for the Windy City as a juicy system from Texas creeps northwards. We’re not immune in Toronto, Ontario either. On Sunday, we’re going to have an east wind that will be about as pleasant as a root canal without the laughing gas! All from the same system that just wants to keep on giving! Hi Chris! Why thank you; um, for the picture compliment, not the weather coming our way! *LOL* So the Windy City is in for a change of weather scenery…..Ah, Toronto as well. Now, about that root canal sans laughing gas…….That system needs to stop being so generous, doesn’t it? Methinks this is a batten down the hatches kind of weekend across our area and yours! Thank you for the weather report, Chris! I’ll be ready for the umbrella to turn inside-out! Hahaha! Why thank you so much, Amy! Thank you, John! Yes, as you can see by Chris Murphy’s comment, we are definitely in for some ‘interesting’ weather! BAH!! Now I did not know that about the light bulbs, John! Indeed, that is far from ‘green’! A bit hypocritical isn’t it…. It most certainly is, John. Why would they be called ‘energy efficient’ then?